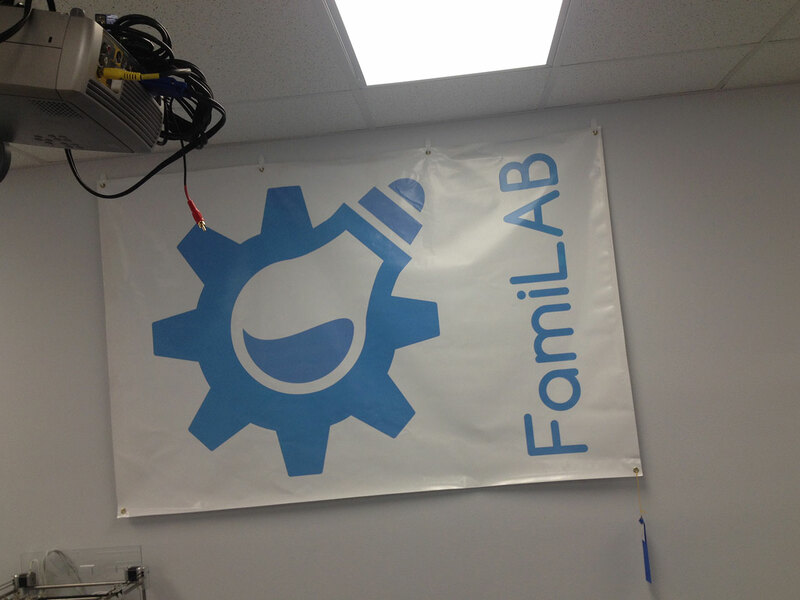 I was in Orlando, Florida last week and got to stop by FamiLAB for a quick tour. 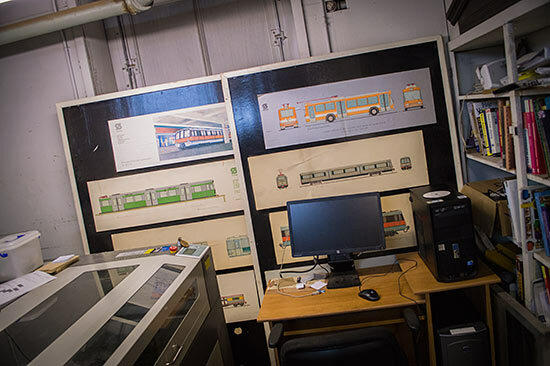 They moved into their current location in 2015, and there was a full build-out, and they’ve got a space that appears to be what they wanted. I snapped a few photos along they way, so enjoy! The lobby/lounge area had some couches and lots of video game systems, and this awesome set of LED lamps that a member made. They feature laser-cut wood and rice paper along with RGB LEDs and a microcontoller. FamiLAB has a stained glass workbench, and this is a piece a member made (their first piece ever!) which features the FamiLAB logo. I had though it was just one big piece of glass cut to that shape, but I was told each individual section is a piece of glass, and they all get attached together. Impressive! 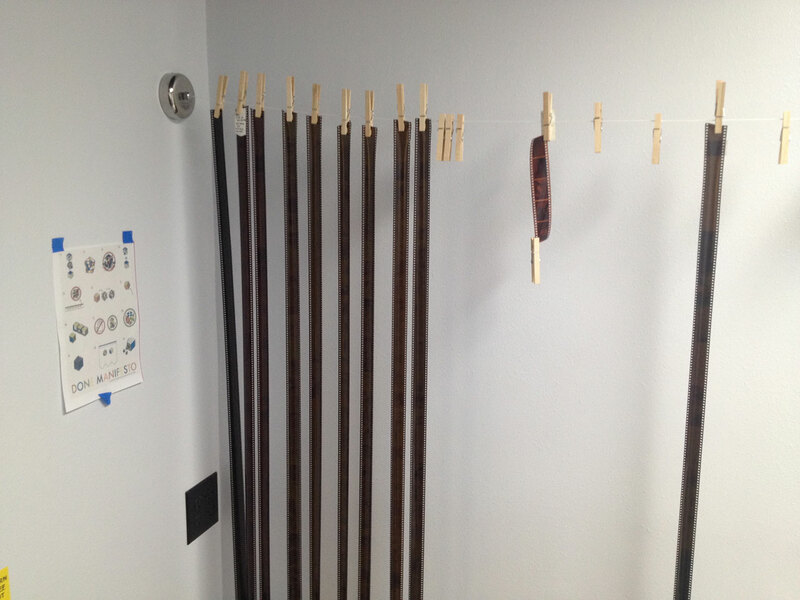 This makerspace has an actual darkroom… for film, and it works, and it’s functional. This is somewhat rare, from what I’ve seen. 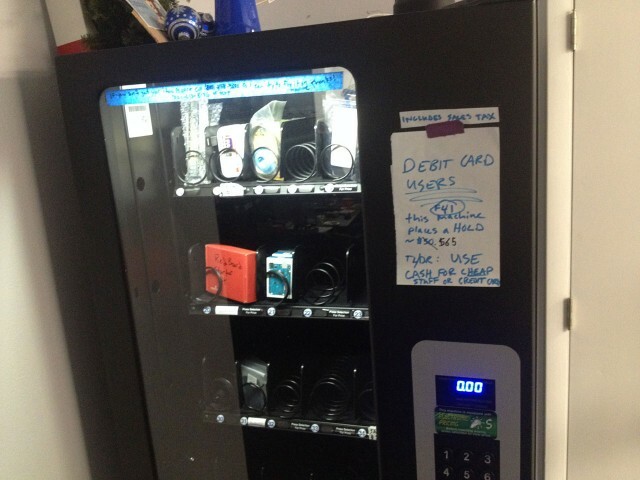 There’s a vending machine where you can buy electronic parts and other things. There was mention of trying to stock it with items some of the members make, including fine chocolates and some amazing jerky. 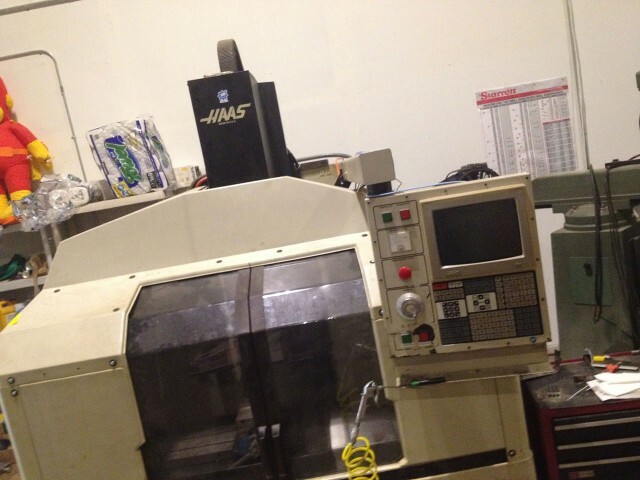 There’s a Haas Milling Machine that took some time to get up and running, but cost almost nothing to acquire and repair. An old lathe is a good lathe… Solid construction, heavy as hell. 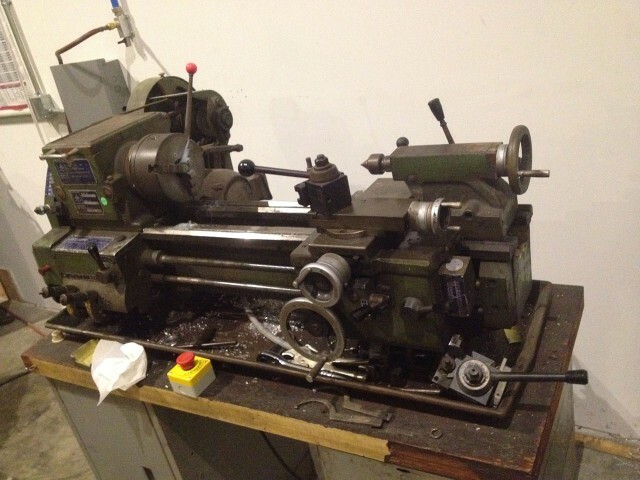 Supposedly there was talk of cleaning it up real nice but how can you disturb a machine with so much character and history? The classroom, and the office-type rooms were all brightly lit and had white (well, very light grey) walls. 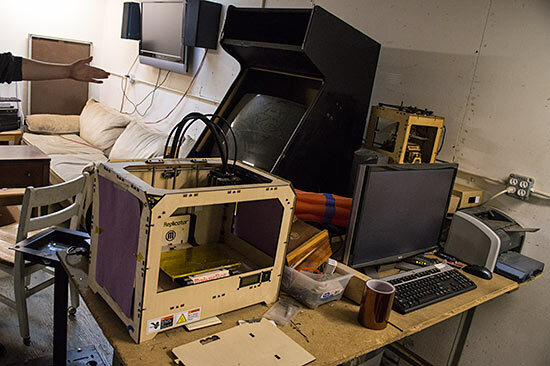 It felt much different than so many of the Midwest makerspaces that are in dingy old industrial buildings. Granted, they did to a lot of the build-out of the space, and made conscious decisions about the way it should look. When I looked up at the tall ceilings I asked about building a mezzanine or second floor, and that’s when I was reminded that in Florida it probably gets to 120° F at the top of the building in the summer. They’ve got some big AC units, but not enough to combat that sort of heat! They also have no furnace, which again, sounds weird to me being a Wisconsin resident. One more Florida thing, there’s actually a swamp next to the building, which is handy, because that’s where they vent their laser cutter exhaust. Oh, and their laser cutter & 3D printing room has a super-seal on the door to ensure all fumes get sucked out of the building, and none of them leak back into the rest of the space. 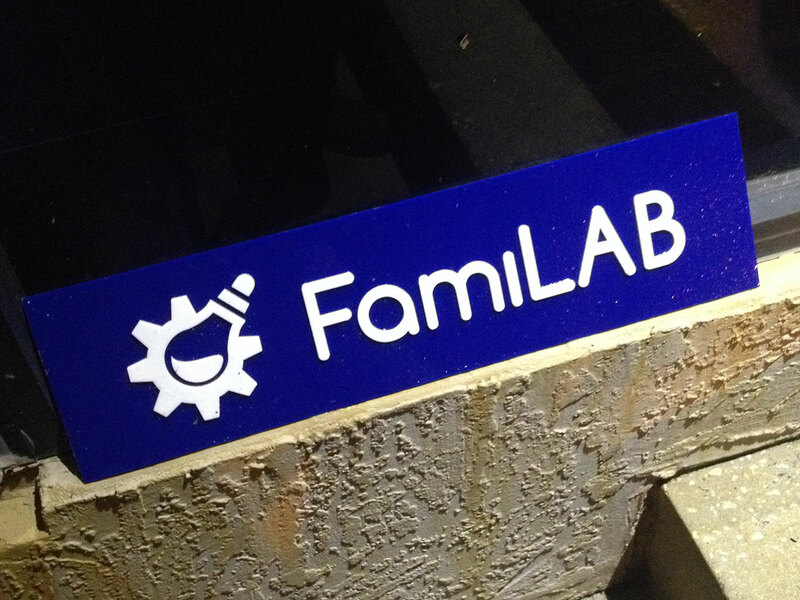 Overall, FamiLAB looks like a pretty cool space with some cool people. A bunch of them are also heavily involved in Maker Faire Orlando, which is also excellent. 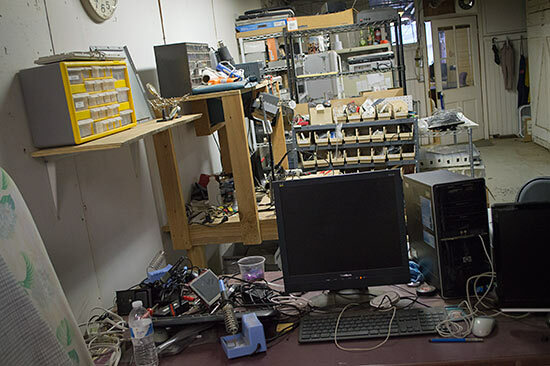 Oh, I also made a very brief visit to Skycraft Parts & Surplus, which is pretty much the equivalent of American Science & Surplus if you live in Milwaukee, or Ax-Man Surplus if you live in Minneapolis. Does every city have these kinds of stores? I attended a session at ASTC 2015 titled Are Maker Spaces Killing the Traditional Science Center? Is That a Bad Thing? and while I’m new to the museum world, I’m not new to the makerspace world, but this whole idea of “makerspace in another space” is what the session was about. This post is really just going to be a stream of my own thoughts after the session. Hooley McLaughlin from the Ontario Science Centre was the moderator and he was anti-makerspace in the context of a science center, where (he believes) the real spark of science can be ignited in young minds. I don’t know much about science centers or the people who work there, but Hooley seems to place “science” (or perhaps just the teaching of science) in this ivory tower, and separate “Science” from other forms of exploration and discovery. The things than happen in a “tinkering” space or a “maker” space are not real science, and there isn’t true learning. I’ve been involved with Milwaukee Makerspace for nearly five years, and before that I was part of Bucketworks, which is/was a quasi-hackerspace, and I’ve had this idea that BAMspace at Betty Brinn Children’s Museum) Makerspaces tend to be open 24 hours a day, 7 days a week, with everything available to members at any time. 6am on Sunday morning? 3pm on a weekday? Saturday night from 10pm to 4am? Those are all valid times to be at a makerspace working on things. Spaces in an institution are typically limited by staffing, just having people available to be in charge of things. And people like to go home and sleep every now and then, and not work 24 hours a day… also, when people do work, they like to get paid. So the first big disconnect is “makerspace open all the time to members who are self-serving” versus “makerspace that is available during only specific times with staff to guide things.” I’m not saying the second option can’t work, it can, but for people who know what a makerspace is as it exists outside of an institution, reconciling how they operate inside an institution may difficult. Perhaps it’s just a matter of managing expectations. 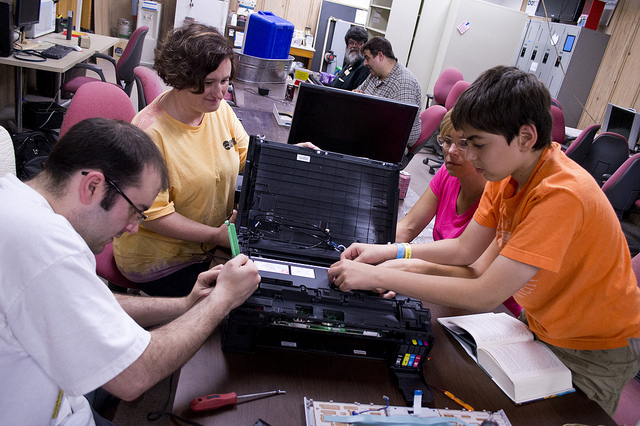 If the first exposure to a makerspace is within an institution, that can set the stage for what one is, and how it works. 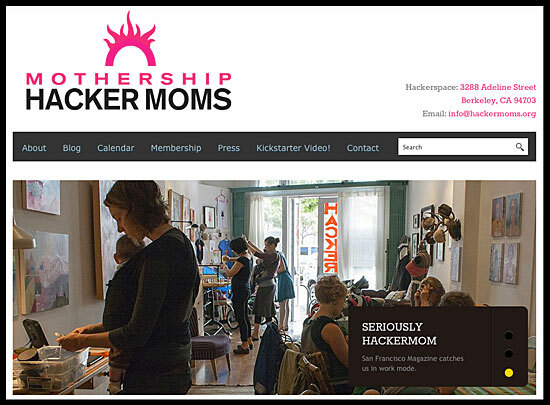 (There’s the issue of the term “makerspace” being co-opted or misunderstood, but I won’t get into that now.) Limited access due to hours, staffing, etc. can definitely affect the reach of a space/program, but as most of the institutional makerspaces seem to focus on kids (or families) maybe it’s a non-issue. Ultimately, my favorite comment during the session pretty much summed things up. “We shouldn’t care how kids get interested in science, as long as they get interested.” My own take on that is, I try things, and make things, and fail, and learn, and in the end, I share those things. I share them with others, and if they get inspired, even just a small bit, than it’s a success. If someone gets interested in robotics, or looks up what an Arduino is, or asks a question about 3D printers, then that’s good enough for me. It’s a spark, and a spark is the start of something. It may not be the spark that (certain) people at science centers are hoping for, but it’s a success in my book. 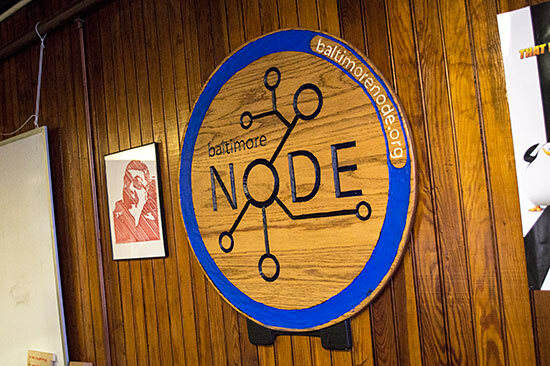 It’s been a while (two years) since I’ve been to Baltimore, and since I got to visit Baltimore Hackerspace last time, I really wanted to visit Baltimore Node, which I originally tried to visit in 2011! This time I succeeded. Maze was kind enough to show up and give us a quick tour. He said that they have about 35 members now, and oddly enough Michael D. who was one of the original members of Milwaukee Makerspace is/was a member. I was hoping he could give me a tour but oddly enough he was back in Milwaukee when I was in Baltimore. 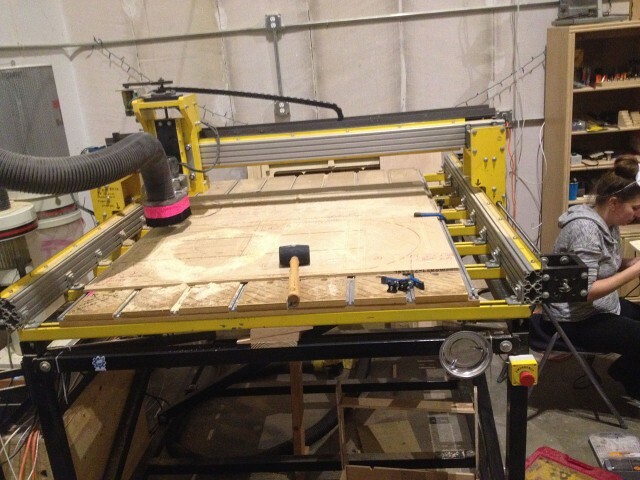 Missed Maker Connection! 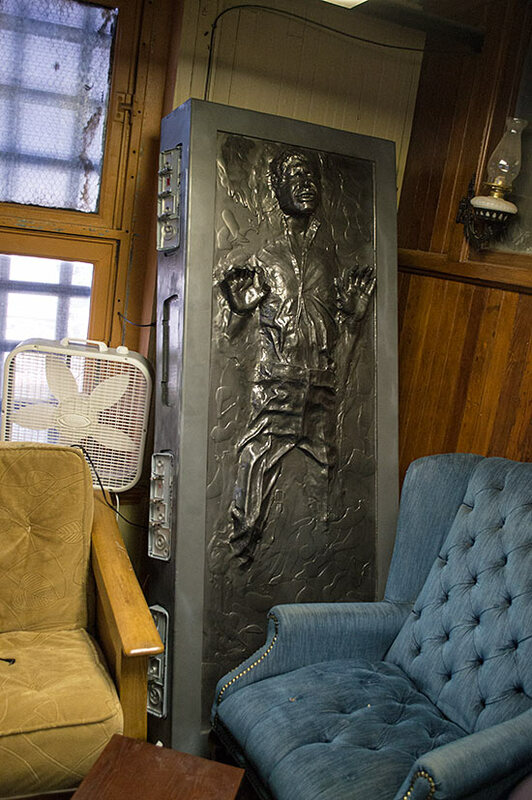 In the front room is our old pal Han Solo… in carbonite! 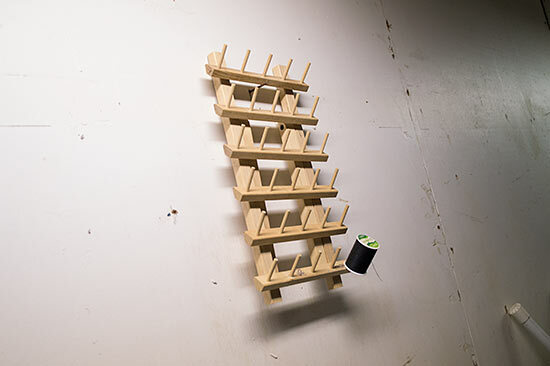 We’ve discussed making one of these at Milwaukee Makerspace but it hasn’t happened yet. Supposedly this one was made from a mold that was made for the film, but wasn’t the one that was used in the actual film. It still looks good, though! There’s also some fine furniture, a box fan, and an old-timey lamp on the wall. OK, I’m just gonna get this out of the way. Baltimore Node has a blue box. It’s not a TARDIS. 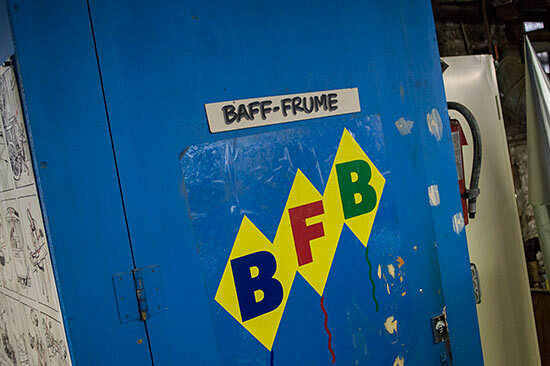 It’s a bathroom, which they affectionately call the “Baff-Frume”. I didn’t get a photo of the inside, but it’s pretty much a toilet and a roll and not much else, surrounded by thin plywood walls. I mean, it works, and luckily, it’s small so it should be easy to clean! 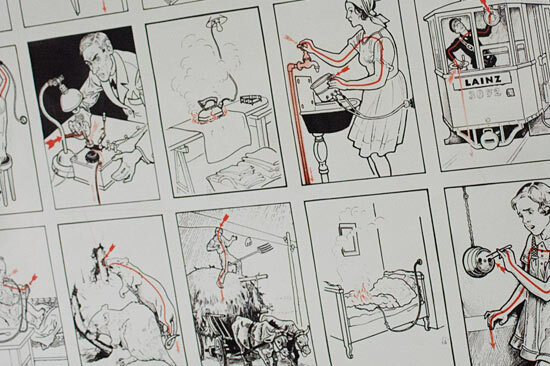 The side of the “Baff-Frume” features a wonderful poster showing all of the best ways to get electrocuted or otherwise killed in Germany. Dr. Prodoehl points out her favorite. As we all know, everything is more terrifying in German. Especially operating a forklift. Unheimlich! 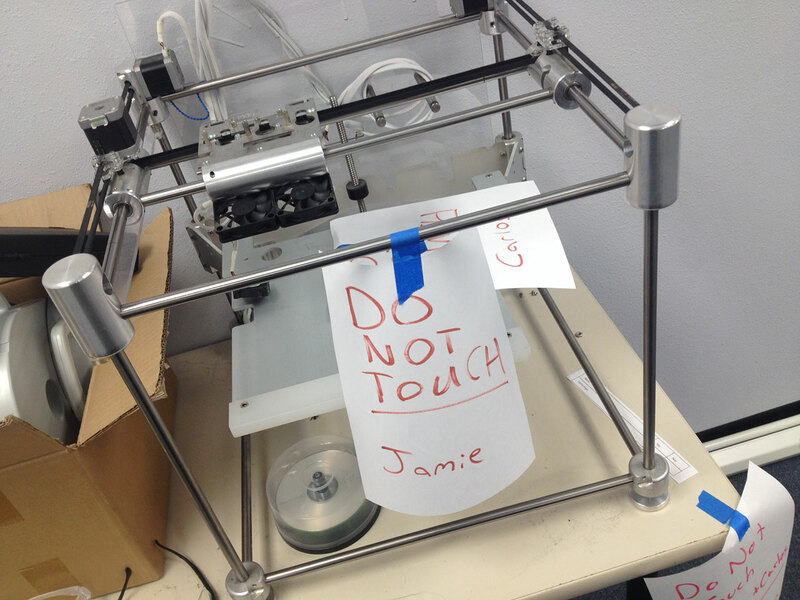 3D printing, with a MakerBot Replicator (1st gen) and an old MakerBot Thing-O-Matic. There’s also an inkjet printer, but I think it just prints ink on paper in two dimensions. There’s also a video game cabinet in the back. We started talking about MAME cabinets, so I can’t remember if this was a MAME cabinet or a specific game. The shop area is in the back. 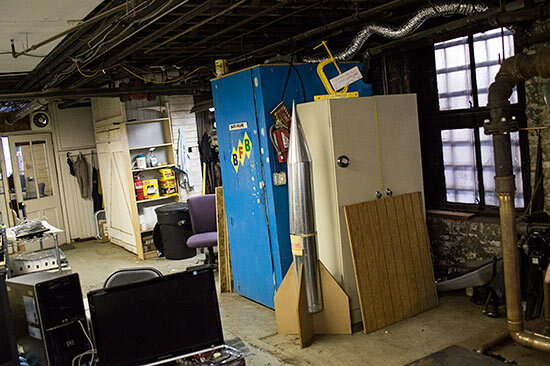 The space was previously used by the current landlord who does wood working on another floor of the building. Having a maker as a landlord is probably an ideal situation. 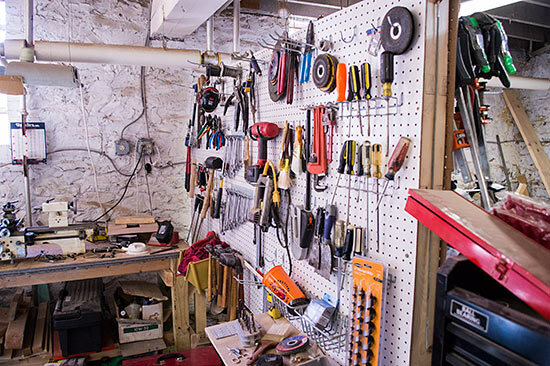 Plenty of tools for making, and it’s even fairly organized… Screwdrivers, wrenches, hammers. Come on down to Cunningham’s Hardware! 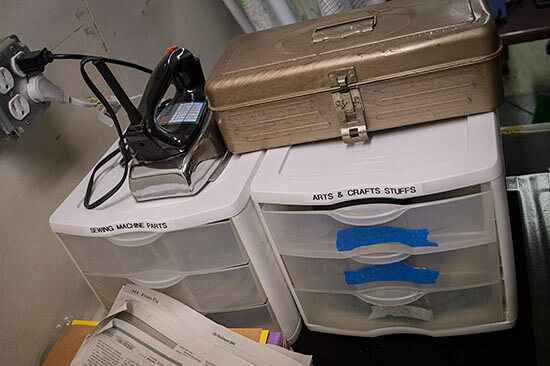 The craft area, where at least two people can get crafty at the same time. Maze said every now and then someone comes in and wants to do some sort of crafty thing. Thanks again to Maze for the quick tour. I love seeing other spaces and checking out the equipment and projects, and just seeing how they are laid out and function. Sadly, I did not get to Hive76 in Philadelphia during this trip, which was my second (failed) attempt. I’m hoping to visit other spaces this year if possible. I keep a list of spaces I’ve visited here. 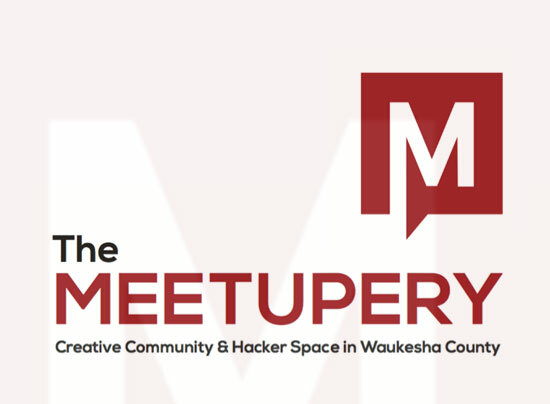 The Meetupery is a new co-working and makerspace in Sussex, Wisconsin. 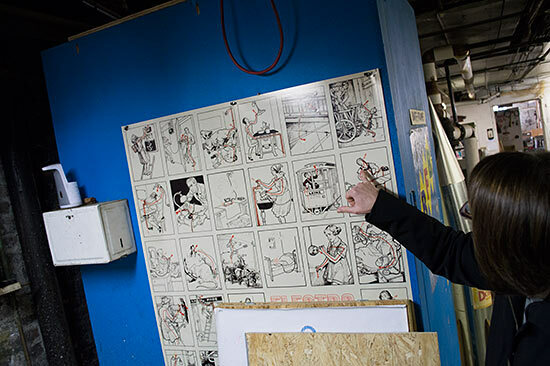 I was invited to talk about Milwaukee Makerspace for their Grand Opening. Here’s my slides. They aren’t quite as exciting without my talk, but they may prove interesting. It’s also on Speaker Deck. 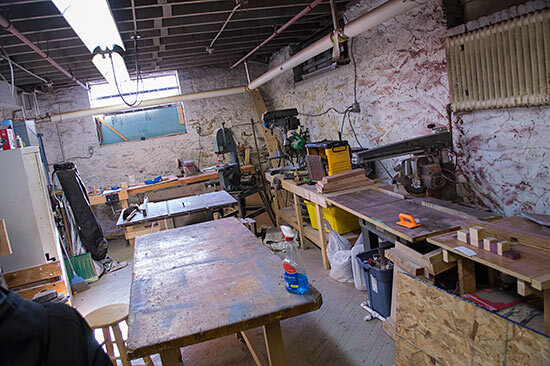 If you’d like me to speak about makerspaces (or Milwaukee Makerspace in particular) get in touch with me.